“The grass may seem greener on the other side, but by fertilizing the lawn under your own two feet you can achieve things you never thought possible.” When I came across this quote in a magazine, I knew I had to do an art journal page featuring this bit of wisdom! 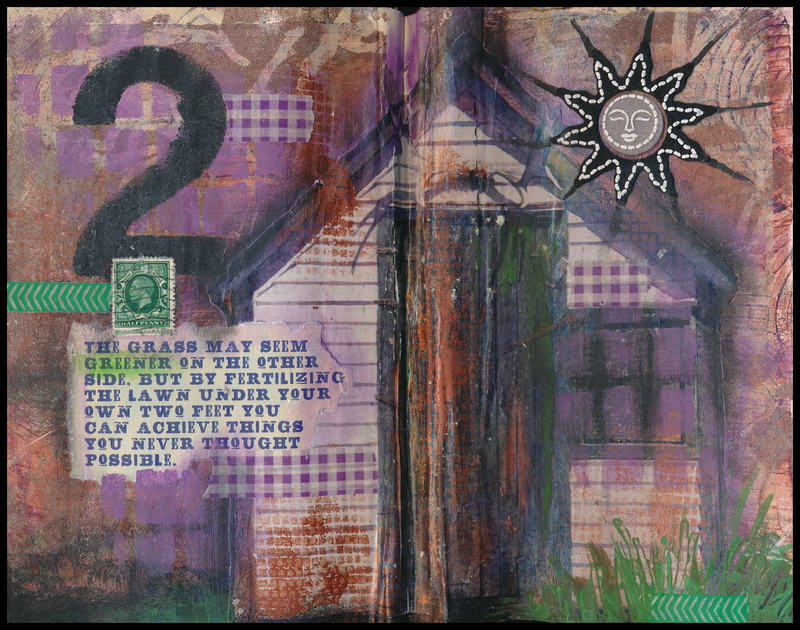 The background for this page is a gelli print done on deli paper. On top of that, I added collage, paint, and pastels. The sun image is a dimensional felt sticker. I used a real postage stamp and washi tape as well. It’s a bit “messy” looking — but sometimes, that feels appropriate.